Burney, CA - 5/11/1980: My friend J and I bought remote property in the Hat Creek area of Shasta county. We were putting in a road to our property and had decided to camp out rather than drive to town each night. We had finished our days work and had returned to our camp site, had dinner and turned in for the night. Later that night I woke up and stepped out of the tent to take a leak. There was a full moon and I could see just about everything around. What I saw coming over Hog Back Ridge was almost unbelievable. I yelled at my friend to get up. He staggered out of the tent thinking I had lost my mind until he saw what I was looking at. This thing was so large that it blocked out the moon light. This object seemed to be rectangular in shape. There was no sound and no lights. 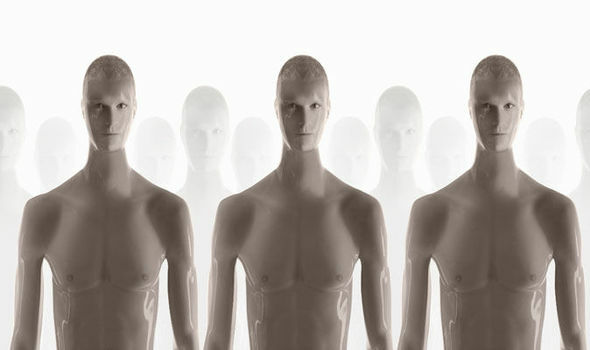 J and I were taken on board the craft, and greeted by several human looking people. They were very courteous and apologize for picking us up. They said they had talked to me when I was younger, and wanted to let me know they were still keeping track of me and that I was to do many things for them in the future. Scientists from the Salk Institute – a biological research organisation in California – have taken cells from pigs and people to create an embryo that was then inserted into a female pig. As part of initial experiments, several different types of human cells were inserted into pig embryos in petri dishes to determine which cells were the best match for the pig embryo. The human cells which worked best with the pigs’ were infant ones which have the potential to develop into all adult cell types – known as a pluripotent cell. Even after someone is declared dead, life continues in the body, suggests a surprising new study with important implications. Gene expression — when information stored in DNA is converted into instructions for making proteins or other molecules — actually increases in some cases after death, according to the new paper, which tracked postmortem activity and is published in the journal Open Biology. The Grand Midway Hotel in Pennsylvania is home to what is officially the largest Ouija board on Earth. Built more than a century ago, the Grand Midway Hotel has managed to attract the attention of numerous paranormal investigators, authors and television producers over the last few years. "The Grand Midway Hotel was an old coal mining hotel from the late 1880s," said filmmaker Blair Murphy who currently lives in the building. "I could recall countless ghost encounter stories from folks who have stayed the night here. It's actually been a fascinating place to live." Blair came up with the idea of building a giant Ouija board on the roof of the hotel after having his own experiences with a regular-sized board a couple of years earlier. "Things flipped out throughout the hotel," he said. "It seemed to kick things up into an entire new level of paranormal activity. 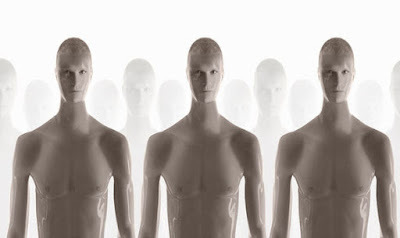 We were seeing floating people and hearing voices and even the hotel pets were flipping out and reacting to unseen forces." 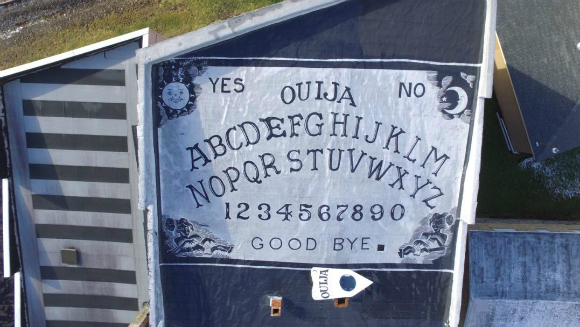 The giant version of the board, which he built along with the help of eight artists, measures a whopping 121.01 square meters and even features its own giant planchette.